“Preserving our history is and always has been a passion of mine since I was a child,” said H. Jill McCormick. H. Jill McCormick, the award-winning archaeologist for the Cocopah Indian Tribe, has won her second state level honor for her work in the field of historic preservation. “Preserving our history is and always has been a passion of mine since I was a child,” McCormick said. McCormick, along with several other recipients, will be presented with the Tribal award at the 13th Annual Arizona Historic Preservation Conference on May 15 at Northern Arizona University in Flagstaff. This marks the second time in the last three years that McCormick has earned recognition from the Governor’s Office. In 2012, then Arizona Governor Jan Brewer’s Archaeology Advisory Commission recognized McCormick her work in public archaeology. The goal of this year’s conference “is to bring together preservationists from around the state to exchange ideas and success stories, to share perspectives and solutions to preservation issues, and to foster cooperation between the diverse Arizona preservation communities,” according the AHPC website. While attending the conference, McCormick and two other archaeologists will give a presentation on Tribal Values and Cultural Landscapes. 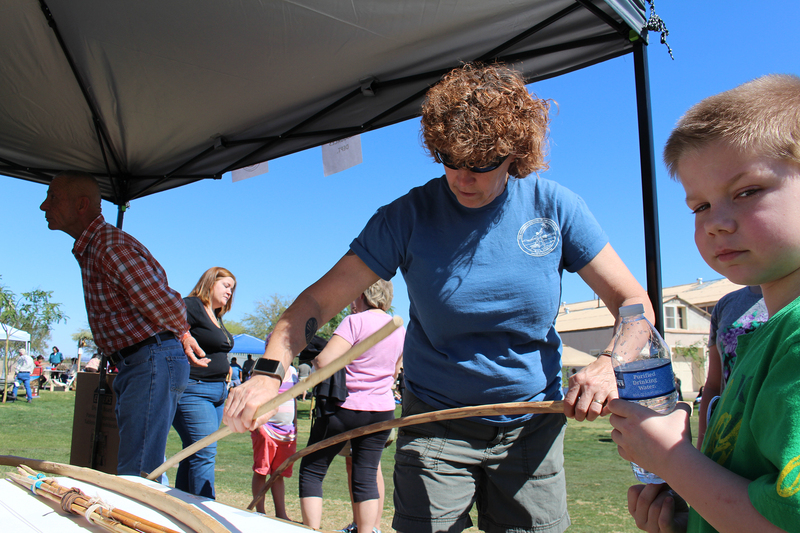 McCormick started work with the Cocopah Indian Tribe in 2006 as the Tribe’s Cultural Resources Manager and Archaeologist. She holds a Bachelor of Arts Degree in Anthropology from Northern Arizona University and a Masters Degree in Archaeology from Prescott College. For the past 18 years she has worked as a regional coordinator for the Arizona Site Steward program in Yuma, which preserves and protects archaeological sites through citizen volunteers. In addition, she is an Associate Professor of Anthropology at Arizona Western College. For more information about the Governor’s Awards and the 2015 Arizona Historic Preservation Conference, please visit www.azpreservation.com <http://www.azpreservation.com> .